Providing quality and compassionate care to your loved ones with dementia and Alzheimer’s disease. 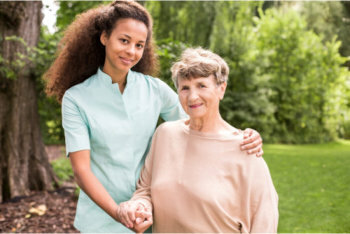 We understand that when it comes to taking care of a loved one with dementia or Alzheimer’s disease, as a primary caregiver of your loved one, you will be needing a lot of patience. This kind of care requires a special approach in which it should focus more on providing compassionate and understanding support to the patients. The MOG Home Health Care Services team closely monitors every patient through every phase of their illness. This includes compassionate, patient, and caring support. The family of a patient with Alzheimer’s, other forms of dementia, or intellectual disabilities may sometimes feel overwhelmed and exhausted, particularly if they’ve been trying to care for their loved one without any help. Through this service, we can lift the burden off the family, allowing them to be family again rather than caregivers. This gives the family and the patient much more quality time together and can be enormously beneficial for all. Should you have further inquiries and clarifications regarding this service, please feel free to give us a call at 484-278-4805.